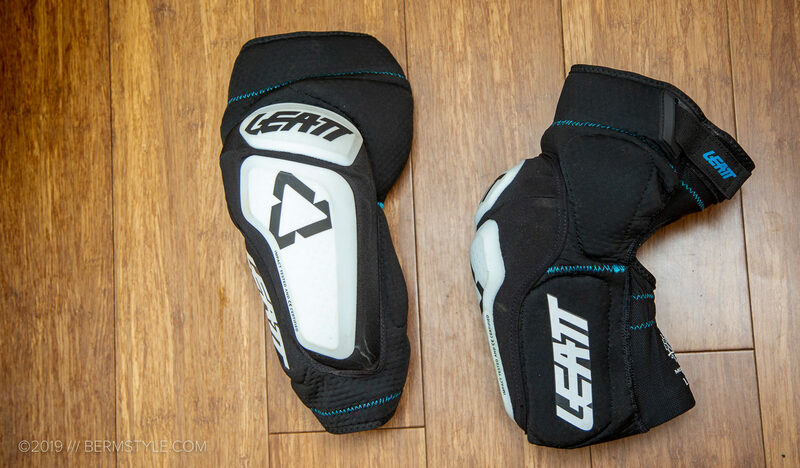 The Leatt Airflex Pro Knee Guards previously reviewed raised the bar in what I’ve been looking for in a knee pad. I wore them for everything, from skate park style park riding to trail riding to bike park riding. The lightweight, low profile knee guard was easily the most comfortable pad I’ve worn; the only drawback of the knee guards was they were light on protection, and the lightweight materials also trade durability for weight. After two seasons and a crash in a loose, rocky off-camber turn, they were sadly retired to be replaced with the 3DF 6.0. Leatt’s 3DF 6.0 ups the level of protection a few points with the addition of hardshell sliders and 3DF impact foam. They might just be my new favorite go-to knee pad. The pre-curved design optimizes the fit for the pedaling position and helps make the 3DF 6.0 pads comfortable on the trail. 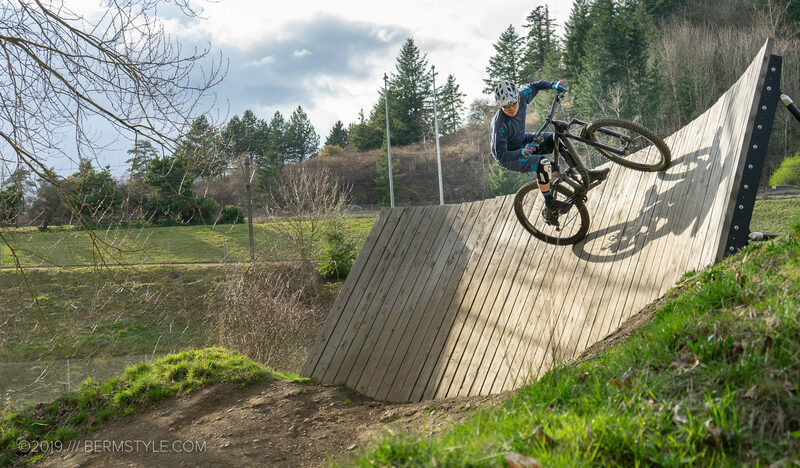 The level of protection is spot on for the session-style flow trail rides surrounding the Portland area. Our trails are littered with jumps and rock gardens where hardshell protection is ideal, but we’re still pedaling all day. The 3DF 6.0 is a hybrid between heavier, DH leg armor and lightweight low profile pads like Airflex Pro. Featuring the sense of mobility and secure fit on the leg of the lighter slip ons, it has a nice boost in protection thanks to the hardshell sliders. My preferred pad type is a slip-over pad, as they feel much more secure. 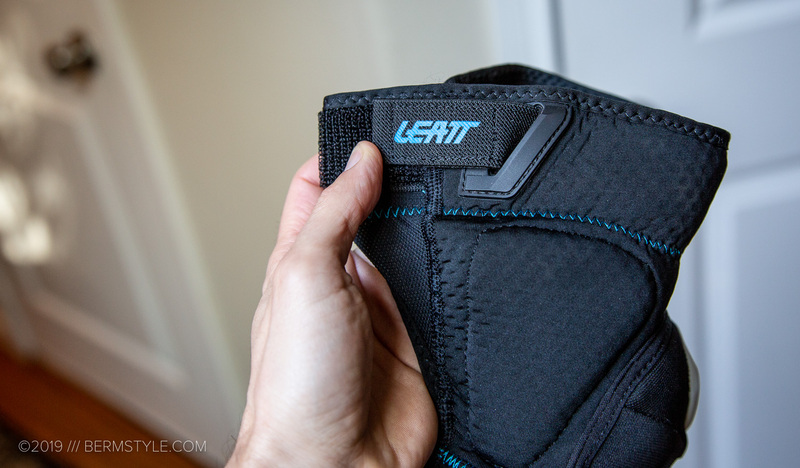 The Leatt feels secure and doesn’t move around. Although there is an adjustable strap at the top of the thigh, I have yet to even adjust it, leaving it in the loose setting. 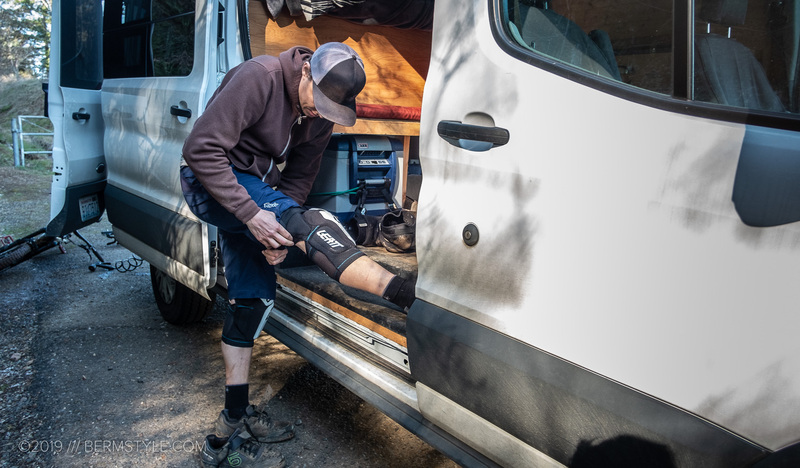 Having “tested them” a number of times blasting down wet, steep technical and loose shuttle trails this winter, they’ve done a fantastic job keeping my knees bruise and injury-free. 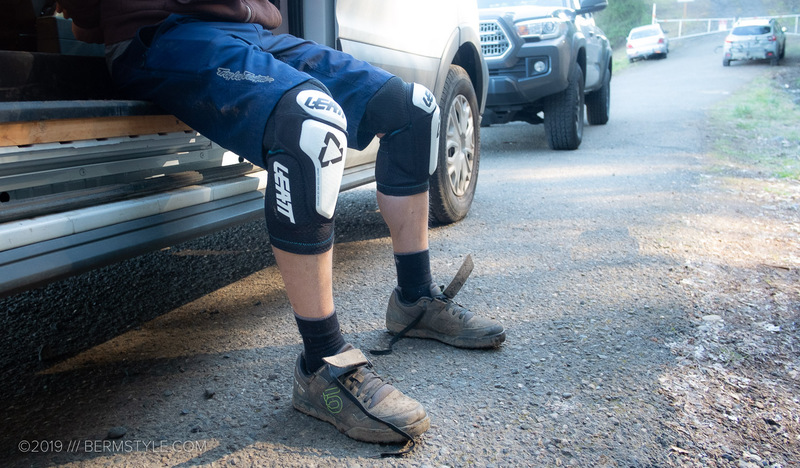 The reassuring protection of the Leatt 3DF is nice for attacking trails and features. 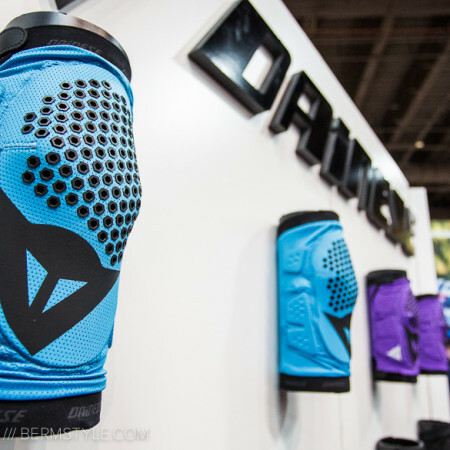 While they’re not “DH” knee pads, the addition of the shell is a welcome addition. 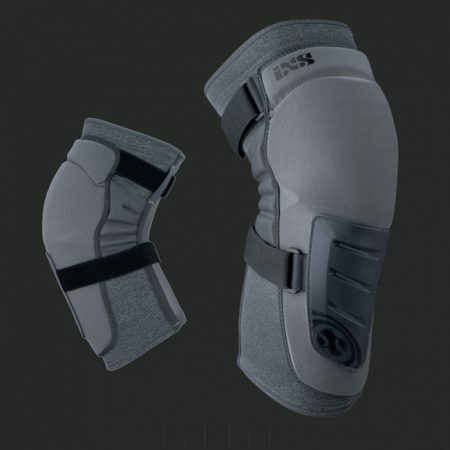 Several riders on the crew expressed interest in upgrading their knee armor, and after modeling the pads our buddy Chase went home and ordered up a set for himself. Knee and leg armor seem to be divided into 3 categories these days. You have your lightweight, just in case level of protection for XC trail riding where you might fall down. On the other end of the spectrum, there’s the full-blown DH level of robot-leg armor for the full insurance policy at DH race speeds, where you want to be fully covered. In the middle is the aggressive trail slash enduro level of protection that can vary based on how much bulk you’re willing to take on and how much mobility you’re willing to compromise. I’d consider the 3DF pads to lie somewhere in the enduro to aggressive trail zone, where there are some rocks but you’re not planning to bang off of them often. 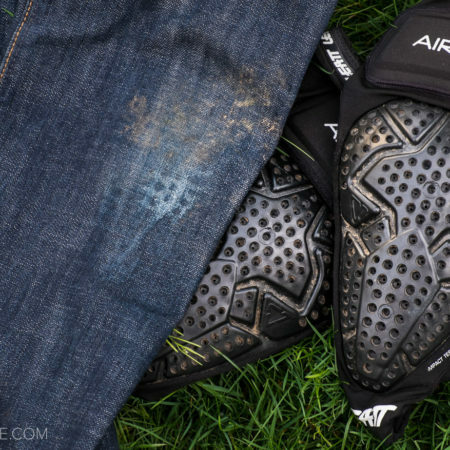 The lighter Airflex, which is an “I wear pads just in case” type of pad, still leaves a bruise when you take a hard hit. 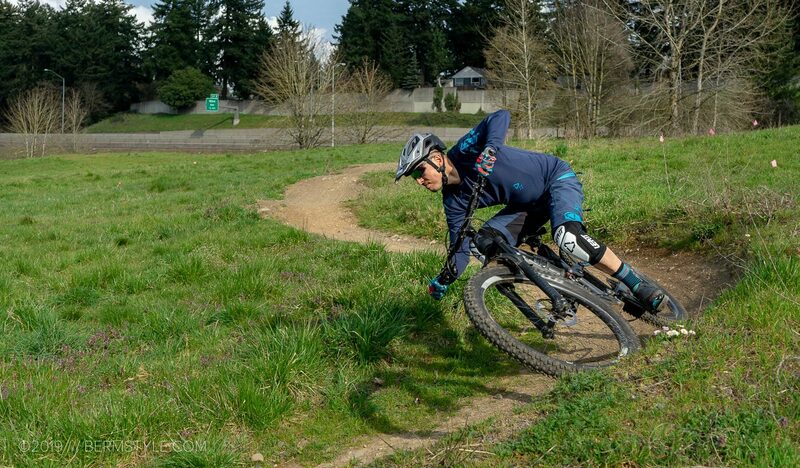 I like my armor on the light end to maximize fun and I ride within my limits and the increased impact protection of 3DF makes it a better option that provides more reassurance at higher speeds without resorting to full-blown DH level of protection. Another way of looking at it is DH pads can take a lot of abuse and they’ll keep going.. until the velcro wears out and the elastic gets tired. The shell of the 3DF can take a bit more abuse than the lighter, low profile pad, but if you’re looking maximum durability and plan to crash often, Leatt’s hard shell enduro design is a better choice. 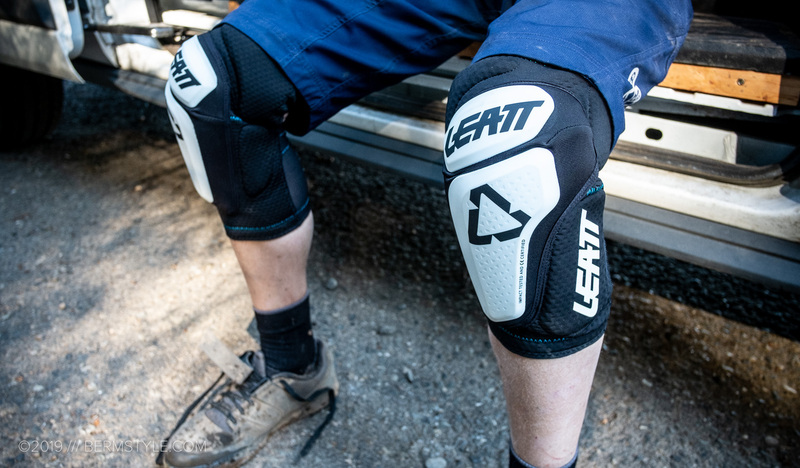 I’m a fan of the fit and feel of the Leatt collection; my ideal array would include the Airflex Pro, the 3DF 6.0 plus one of the DH rated models dedicated to lift-assisted bike park riding. I could technically get by with the 3DF 6.0 as a do-it-all pad, but now that I have a DH bike again, it makes sense to pair the ideal level of protection to the bike. We only get one set of knees, and the cost of a set of knee pads pales in comparison to a hospital visit. This is one area riders shouldn’t compromise or skimp. If your pads don’t fit well, try another model/brand and sell the old ones. I have yet to even utilize the adjuster on my knee pads. 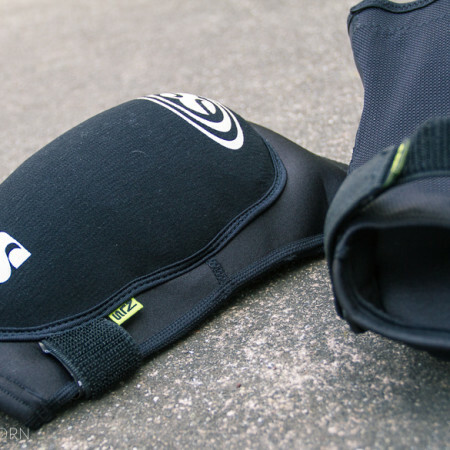 I’m running the S/M size pad; they come in a S/M and L/XL option as well as an XXL. In comparison to other brands, I’ve run Race Face, Fox, Dainese, IXS, and Troy Lee pads in recent years. 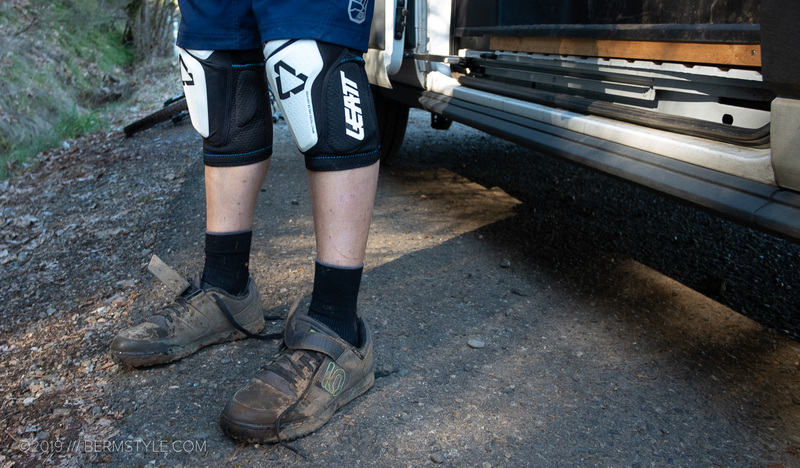 There are certainly good things to say about each of the available brand options but the Leatt fit has been my personal favorite to date, and if you’re in the market they’re worth taking a close look at. Was this review helpful? Shop Amazon with our link to support the site.